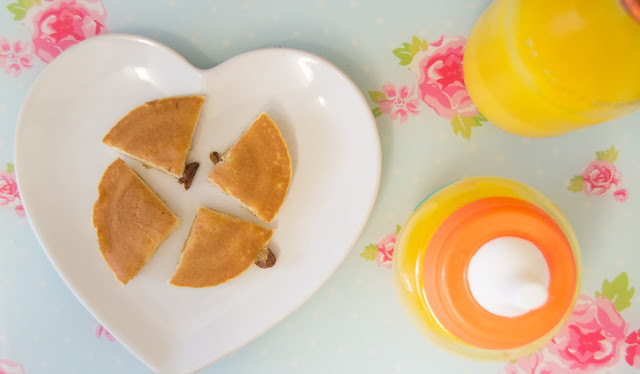 Lily loves these pancakes, I normally get them from Aldi which are nicer than these ones which are from Tesco. I had to put butter on them or they were too dry for Lily. The Aldi ones also have far more fruit in too which makes them softer and easier for her to eat. The orange juice we get delivered by the milkman and it’s basically the best thing ever. 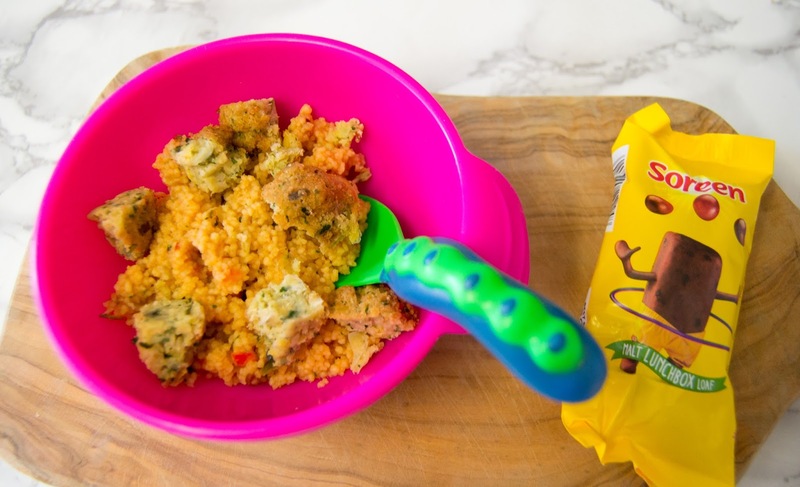 Lily has always loved cous cous, one of her first foods was cheesy garlic and herb cous cous which was one of her favourites when she was weaning. She liked the roasted vegetable flavour but wasn’t too sure on the falafels. This dinner was requested by Eloise who loved the meatballs as did Lily. 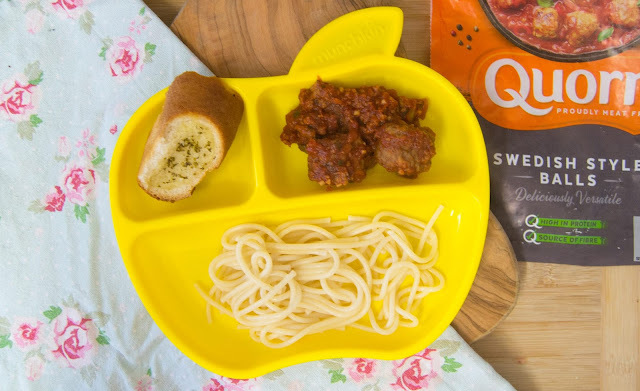 I cut them up into quarters before giving them to Lily though and I tend to cut the spaghetti a bit too so it’s easier for her to pick up. Both kids only eat the middle out of garlic bread though haha. Catch up with last weeks W.M.T.A.T here. "HIDDEN VEGGIE MAC & CHEESE WITH BABEASE"
"10 TIPS FOR MANAGING ANXIETY AND PANIC ATTACKS"